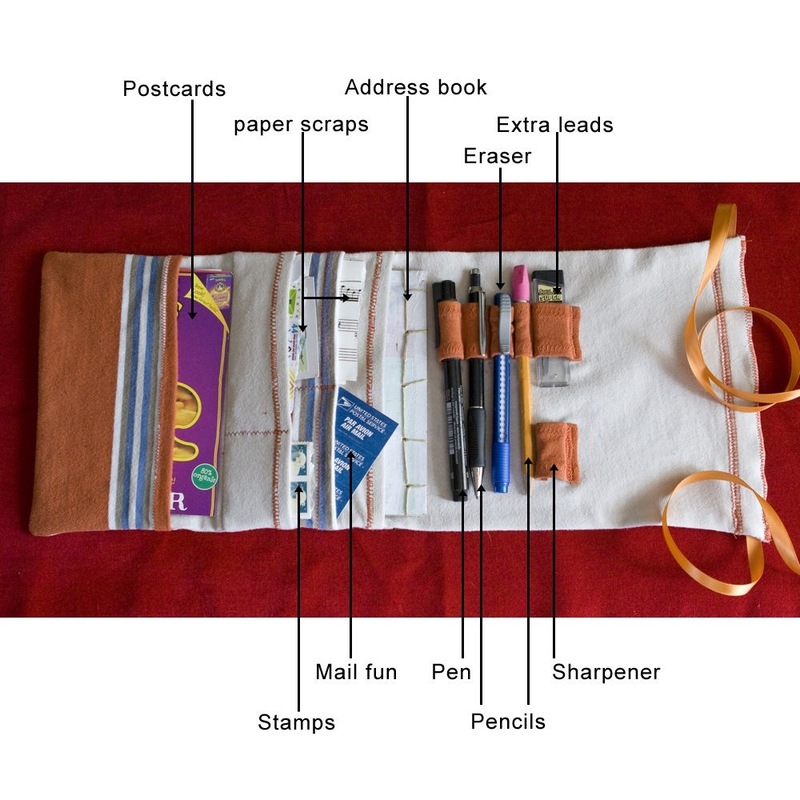 This fabulous kit puts all your postcard penal necessities in one place so that you can write postcards on the go. I spend a lot of time on the road, chauffeuring my daughter between school, play dates and after school activities. More than once I forgot my pen at home, or the stamps. There is nothing more annoying than having to make an extra stop to buy a pen which I didn’t really like because I was too cheap to buy an extra one that I already had at home.